Betty Lou is an old soul restored from 1970 that is looking to spark your event with unique charm. Planning a big party means that an exhilarating time is arriving in your life. Whether your corporate business is taking off or you are about to say “I do,” you want this gathering to be full of smiles, laughter, dance and good conversation. 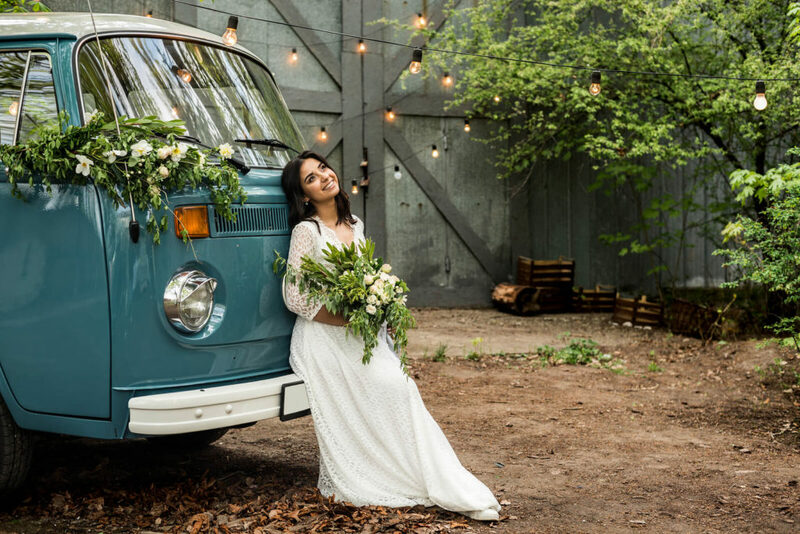 The VW Photo Bus is a rare gem that will fill your party with old joys and newfound memories. Here is how you can captive your experience with Betty Lou, bring fun for all ages and send your guests home with quality prints plus an experience that is sure to be raved about for years to come. Betty Lou is ready to dance beneath the stars, capture stolen kisses, and revel in true love with you! This photo booth will add a bit of whimsical magic to your tye the knot event. Props, games and a vintage framework will dazzle young and old on your wedding day. Not to mention, Betty Lou’s high-quality photos offer the perfect thank you for an evening well spent as the Jacksonville Beach cool wind passes over the ocean on your wedding day. Her attire will match perfectly with all wedding parties as well! Surely a one of a kind event makes for the perfect party. Betty Lou is not looking to steal your thunder, but she is ready to hang out and rock your exclusive jubilation. From bridal showers and quinceaneras, to bar mitzvahs and baby showers, Betty Lou is ready to create lifelong memories with you. A classic backdrop dressed to the nines in her cute “tuxedo” colors coupled with unlimited snapshots will do. We are thrilled to make your event fabulous! Adding some vintage style to your corporate festivities this year will provide an aesthetic that your attendees will love and appreciate. Betty Lou will simultaneously create an outlandish opportunity to promote your business on social media! Get ready to experience built-in Wifi connection, social media intergration and your logo blowing up the internet in style. Betty Lou is ready to pull up to your event and get trendy! Contact i-Photo Booth today to schedule your event with our vintage gem from 1971. Our Staff is ready to customize a logo or theme for your wedding, private party or corporate event. We will come prepared to blast the entire affair off through Social Media integration, hilarious props, unlimited photo booth usage, and a guaranteed photo strip for every guest. Likewise, your Photo Booth VW Bus includes text message intergration and an on-sight attendant. This way, we can handle all the smooth runnings for you. After your event, i-Photo Booth has you covered with a free online Gallery, this way you, your loved ones, and your social media manager can capture the magic for years to come. Contact i-Photo booth today, 904-955-8805! Are you in charge of planning the next big business event at your company? Pulling all the strings together means a lot of pre-planning because let’s face it, these events matter. A Corporate Event is a time to get all your employees, customers, and guests together for a blowout bash. In addition to the fun, these big-time events can serve as a compelling marketing tool. So let’s get this party started with a few tips and tricks on how to throw an unforgettable corporate event! Picking a sweet spot for the big date of your corporate event should be one of the priorities. Living in sunny Jacksonville Florida should make this a breeze. For example, we recommend choosing a venue by the water so that your guests can take a break from the moving and grooving for some fresh air and ocean views. Next up, when it comes to the menu try offering a diverse array of foods. These days every other party goer is either gluten-free, vegan or on the see-food diet. In other words, you can’t go wrong by providing plenty of finger foods, veggie platters, and some sparkling celebration champagne! In like fashion, if you chose a theme, for example, Arabian Nights; you could always match the menu to the rhythm of the night. With this in mind, choosing a theme is a great idea to really solidify the group of people that you are bringing together. Themes can create conversation, laughter, and a fun aesthetic for everyone. 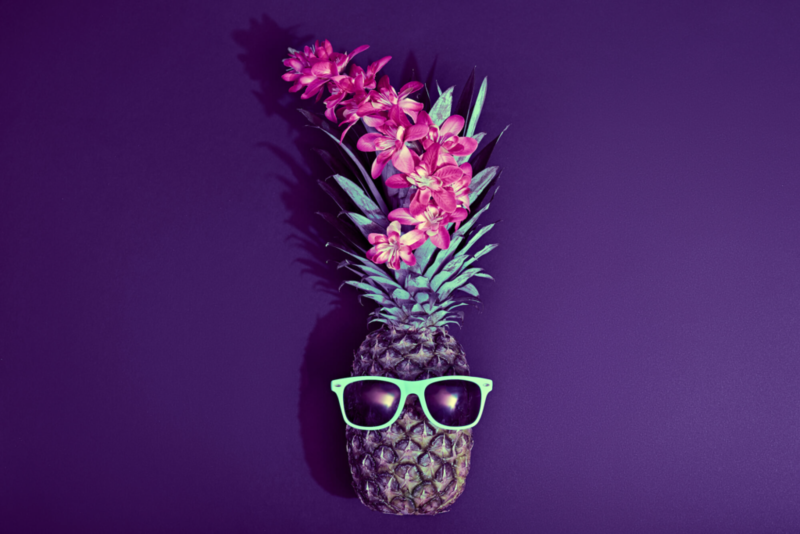 If it is summertime in Jacksonville, you can’t go wrong with a beach themed party, luau, or under the sea cosmos. Lastly, don’t forget to set the atmosphere on par with the perfect lights and Laser Beams. You are almost on your way to throwing an unforgettable corporate-event, but before you get there, how will the event be remembered? First, a photobooth offers guest an unforgettable moment in their hands to take home, frame, and remember for years to come. Similarly, that photo will be branded with your corporate logo and designed following the party’s theme. As a result, all of your guests will think back to this unforgettable moment and have a keepsake which they can remember forever. Second and more importantly, a photo booth offers touchscreen social media integration meaning it will market your party for you. Your guests, clients, and employees will be able to post directly to social media when you use an iPhotoBooth Mirror booth, VW iPhoto Bus, or Photo Booth at your next corporate event. Make sure to check off your list when planning the next big corporate event for your company. Get a great venue, love the menu, pick a theme, and picture the party up with a photo booth from iPhotobooth today. A picture says a thousand words and will spread like wildfire with your personal brand. Those great memories will leak throughout the internet, and possibly to potential clients in the future. Good luck with all your endeavors, we hope to see you soon! _iPhotobooth. Are you planning the next big party or event? The end goal of planning any party is to make sure it is a snap chat success, let’s face it you guys we want this to be epic. But first, you have to do some planning, which begins here. 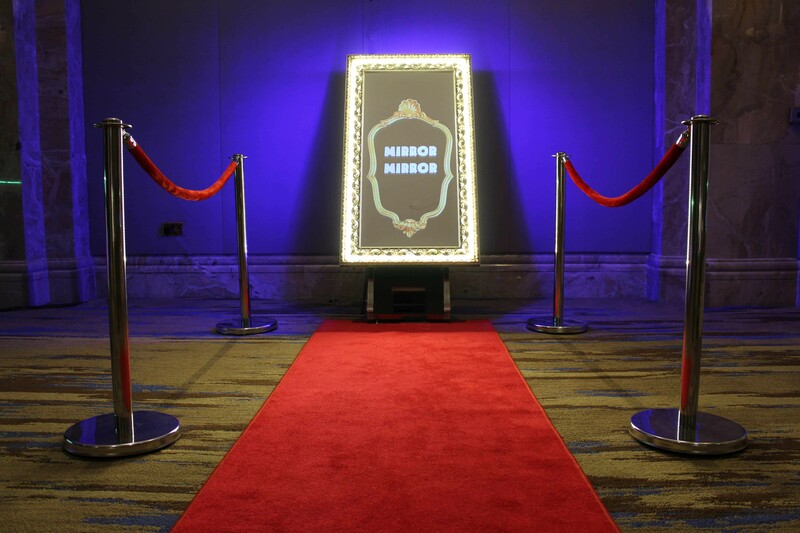 So sit back and relax, because we’ve got the top 5 ways in which a Magic Mirror Photo Booth can transform your party in Jacksonville, Florida this year. If you do not know what a Magic Mirror Photo Booth is, you are in for some exciting news. A Magic Mirror Photo Booth is comparable to a portal. Remember how Snow White’s evil stepmother could transport herself into her stepdaughter’s room through a magic mirror? Although similar, this magic mirror is a bit different and it won’t cost a real heart. However, it is sure to captivate many. Your Guests will love this interactive mirror where they can sign their names, engage in screaming contests, and even send photos directly to their phones. As a result, your next party is sure to top off social media feeds all over the city of Jacksonville. Everyone knows that a party or event is not legit until it has a brand! Whether it be a wedding, office party, quinceanera, or mitzvah the Magic Mirror Photo Booth will brand with a unique design for any event. After customizing a brand for your party, the iPhotoBooth team located in Jacksonville, Fl sets up costume props that are sure to get your guests ready to party. One of the best reasons to have a Magic Mirror Photo Booth is because it makes for a two in one deal by providing both entertainments along with memorable party favors. Excite your guests before they head back to there Jacksonville neighborhoods after a long night of dancing, games, and of course, a keepsake in their hand that they can savor for years to come. What have you got tucked away in your scrapbook? Another reason to have the Magic Mirror Photo Booth at your next party is that it produces beautiful, high-quality images. This high-tech photobooth has, even more, to offer at your next soiree in Jacksonville, Fl. For example, the photobooth includes all these features which are listed below and more! In addition to the multiple uses and styles which will engage your guests, this sleekly designed photo booth is sure to impress everyone. Play a game of tic-tac-toe, or filter your pictures all right there on the Magic Mirror. Lastly, the Magic Mirror Photo Booth is for all ages. Young children will be dazzled and enchanted by the animations, props, and games. Adults and teens will be excited to take home their very own keepsakes while sharing their images to social media right from the screen! If you are throwing an event in Jacksonville, Florida look no further then iPhotoBooth! Our professional team is ready to set up a photo booth for any occasion and deliver to your location in, around, and outside of the Jacksonville area. What are you waiting for? Give iPhotoBooth a call today, and capture your memories in the best way.